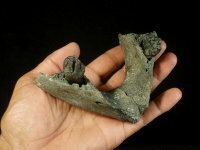 Finest Infant Mammoth Jaw Venice Florida [INFANTMAMMOTH] : Fossils Online, Welcome! 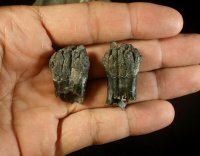 This is one of those fossils that never made it to the site, but I thought it would be of interest to see. This is from an old collection that we were very pleased to acquire. 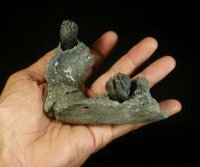 It was collected many years ago in the Gulf of Mexico. 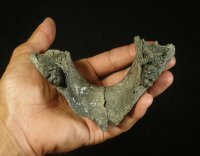 The minimal wear on it's teeth indicates that this animal didn't live long enough to start grazing much. Fantastic specimen.